Big Ben, the real name of which is actually "Clock Tower", stands in the heart of London and was inaugurated in 1859. Big Ben is, in fact, the name of the bell. The Clock Tower is the building itself and is part of Westminster Palace, the seat of the British parliament. It is the first bell that indicates the exact time when Big Ben rings. The sound of the bell can be heard over 6 km away! Monument Builders: Big Ben is rated 3.0 out of 5 by 27. Rated 5 out of 5 by Bumbles2 from An excellent learning tool !!! The various stories about big Ben were impressive...I grew up there and I didn't know even half of that info...never-the-less my G'kids learned a lot during each level and I'm very impressed !!! Everything about this great game is very well done !!! Music and artistry fit the theme !!! And the story is a magnificent learning tool. Not much of a challenge except which item to pick up or which bad guy you need to remove so you can reach your warehouse !!! Try the demo...its a nice relaxing game...Enjoy !!! Rated 5 out of 5 by eddiemason from Fantastic geography lesson I lived in London for a while and I am amazed to dicover, thanks to this game, that Yorkshire is between Regent's Park and Whitechapel. Amazing. Rated 5 out of 5 by MSBAM100 from Big Ben is really the Great Bell! 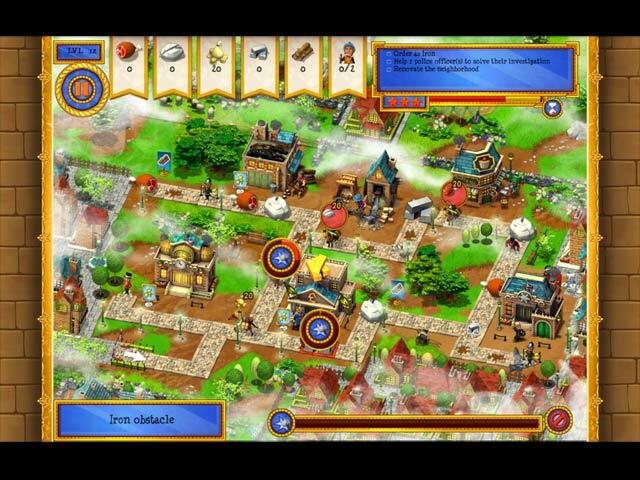 Every one of the Monument Builders games are clever, intelligent fun. Did you know that Big Ben is really the name of the bell inside the Clock Tower? Or that it was named for Sir Benjamin Hall, a tall man who supervised the bell's installation in the clock tower? Each scene contains a little known fact about the monument you are building. Of course you get to clear debris, fix roads, build a bank, a quarry, a tea house - we're in London, remember! - and a factory. Cut down trees, fight the thugs, feed the stray dogs, drive away the thieves. A new wrinkle introduced in this game is the finding of clues -- a bloody knife, a rope, a footprint. The police think it's a serial killer! Is it Jack the Ripper? What fun! Rated 5 out of 5 by pennmom36 from Let The Bells Toll I absolutely love Monument Builders because of all the interesting facts you learn about the building. This edition takes us step by step through the production of Big Ben the Clock Tower whose 16 chimes was heard for the first time in Westminster, July 11, 1859! This is a Time Management game which requires strategy as you strive to achieve each level's goals and earn three stars. The first step is to clear debris from the road to allow the mules to deliver their loads. The roads may also need to be repaired by clicking on the repair and then on the improvement icon. Trees will need to be cleared, for resources, stray dogs need fed, and criminals need to be chased away. Banks need to be built to earn pounds sterling, Quarries to produce stone, Factories for winches, and Tea Rooms for food. 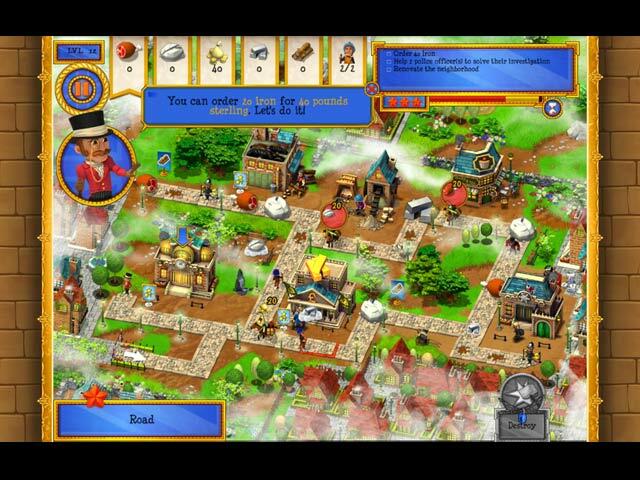 Each building requires you to deliver the resources by clicking on the mules each time they are loaded. This is a really good game for beginners because of the excellent tutorial, but seasoned TM players will like it as well. 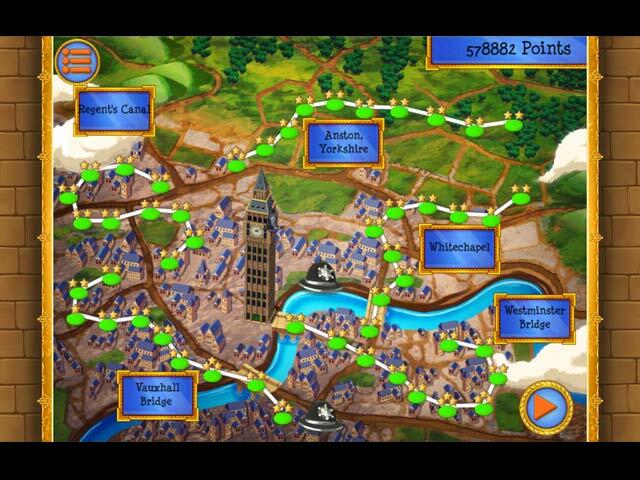 What better way is there to learn interesting facts about the world's great monuments, than playing a game? Enjoy! 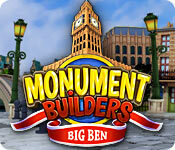 Rated 4 out of 5 by moswald007 from Monument Builder Big Ben was tough but fun! Level 50 was really hard finding ALL 4 clues, but I managed to finally see it. A shoe hidden behind the warehouse. It barely shows. For the other folks who couldn't find it. Rated 4 out of 5 by catchastar123 from Fun but disappointed It was very fun over all until level 50. Can't find the last clue to solve the case. Very frustrated.Can't finish the game. Rated 4 out of 5 by Cabbagepatcher from Not bad This is a good game, but if you've played MB Cathedral Rising it's pretty much the same game except you're building the Big Ben clock tower instead of the Cologne Cathedral. You have to clear debris, chop wood, collect clues, bash thieves and build production buildings. Cathedral Rising had a lot of side information about the brothers Grimm which was really interesting, but this game appears to focus on a mythical serial killer called Pete the Strangler, which I could have done without. It's not different enough for me to purchase, but if you're hanging out for a good TM (and which of us non-HO players isn't!) and you don't already have Cathedral Rising, you could do worse than take a look.